Competition is an interesting thing. There’s that saying that it makes you better, meaning you makes you strive to do better and excel ahead of your competitor. I’ve learned that overly focusing on competition can be a negative thing, even bringing about your downfall. For eight years of my newspaper reporter career, I worked in a market that had two competing newspapers. We covered pretty much the exact same stuff and often had the same angles. In a way, it was great because people could have a choice. If they didn’t trust one paper, they had an option to get news somewhere else. On the other hand, it was a little absurd. After all, we were spending money to essentially replicate the exact same thing. 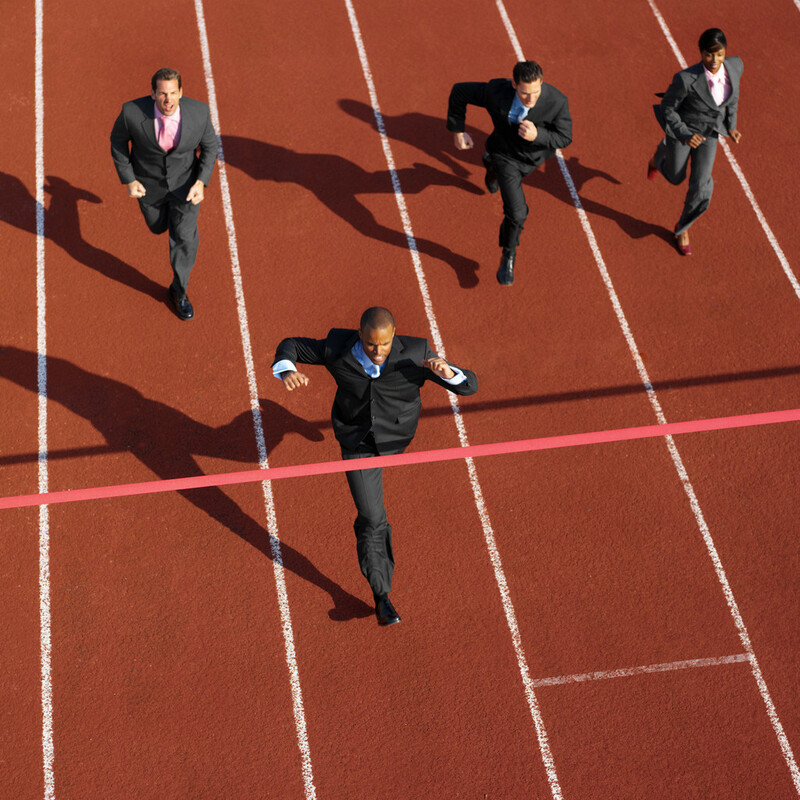 Something occurred to me at that time that competition in business can be a lot like competition in a track race. A smart athlete reviews their competition, learns their strengths and their weaknesses, and plans their strategy accordingly. Then when it comes game time (or race time), I think a smart athlete pushes forward with their own strengths. It does what it knows is right, not always trying to figure out what their competition is doing. I use this analogy: if you’re running a track race and you keep turning your head to see where your competition is, you will eventually get off track. You will slow down and perhaps even fall flat on your face. Here’s the thing: this concept is true for more than just business. If I lose track of my goals in life, in faith and in love, I will ultimately fail. It isn’t about what others are doing. If we’re always worried about what other people are doing that we will eventually lose focus and stumble. What ways do you stay focused in a competitive situation? Do you agree with my assessment?